Advertising for reverse mortgages gives consumers the wrong impression, the Consumer Financial Protection Bureau claims. The CFPB today released the results of a focus group study that found many consumers were left with false impressions after viewing reverse mortgage advertisements. After seeing the ads, many were confused about reverse mortgages being loans. Many were also left with the impression that reverse mortgages were a government benefit, or that they would ensure consumers could stay in their homes for the rest of their lives, according to the CFPB. The said it would issue an advisory today warning consumers that many reverse mortgage ads are misleading. The study was based on 97 different ads found on television, radio, the Internet, and in print. The CFPB interviewed about 60 homeowners old enough to qualify for reverse mortgages in focus groups and one-on-one interviews. The agency said that the study found many ads to be incomplete or contain inaccurate information. Ambiguity about reverse mortgages being loans: After viewing the ads, some study participants didn’t understand that reverse mortgages are loans, complete with fees and compounding interest. Most ads either included interest rates in fine print, or didn’t include them at all. False impressions of affiliation with the government: Some study participants believed that reverse mortgages were a government benefit and not a loan. The CFPB said that consumers often thought the federal government provided consumer protections for reverse mortgage borrowers that aren’t actually offered. 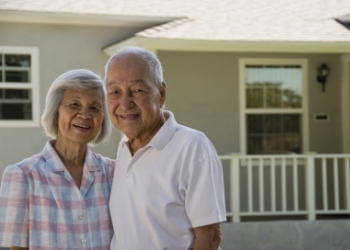 False impressions about staying in the home for the rest of the consumers life: The CFPB said that many ads implied that a reverse mortgage borrower would be financially secure for the rest of his or her life. However, a reverse mortgage is not a guarantee of financial security, the agency said; a consumer could tap into the equity too early an run out of funds. Reverse mortgage borrowers are also still required to pay property taxes, homeowner’s insurance and property maintenance costs – and failing to do so can lead to foreclosure. Most advertisements reviewed in the study failed to mention those requirements, according to the CFPB.